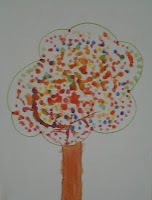 As sweet as cinnamon: Wow....what a crafty week! blown away by how many...almost 1000....999 to exact! I try to get lots more done than the previous weeks. 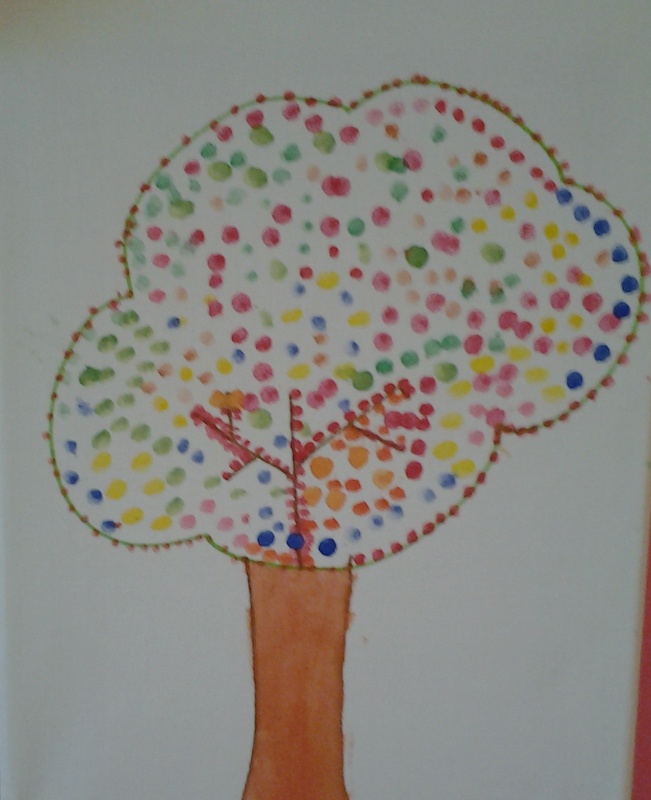 Now to what I have been doing....well!!!! 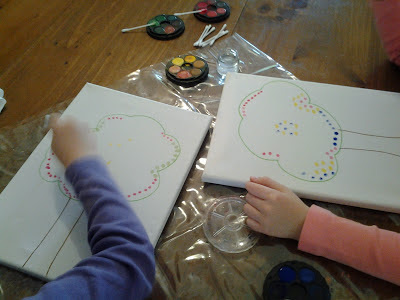 Lots of craft with my girls..
enjoying some ear bud painting. I was so thrilled with the results...so were Miss J and Miss K! Then it was mummy's time to do some sewing...with Judy! 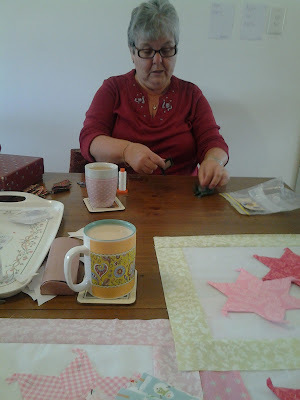 We sat down and had coffee and then I put finishing touches to my quilts. I bounce things off her just to check. Or she helps especially when I need pushing to finish something. And that something this week was a Christmas project for a magazine. I'll show you once it's released in a mag.. 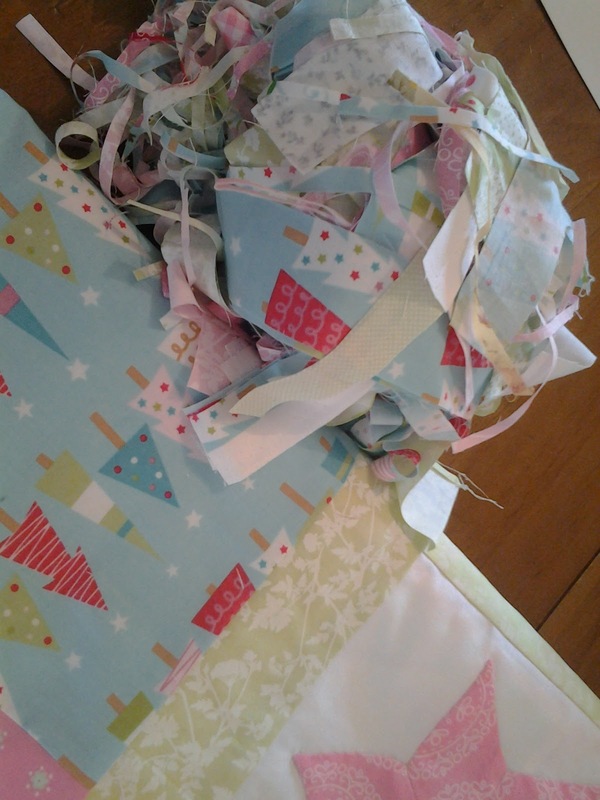 Thank you to all that bought Craftsy patterns this week. Be sure to send me some pics of your finished projects. can still consider me in the giveaway. check if you'd like. I will email you the link to my page. I LOVE the ironing board cover. That's gorgeous. Thanks for sharing my page Vicki. Please email me and I can arrange your class. 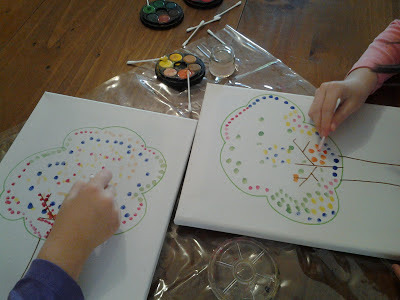 clever little trees - look like they were fun to do. 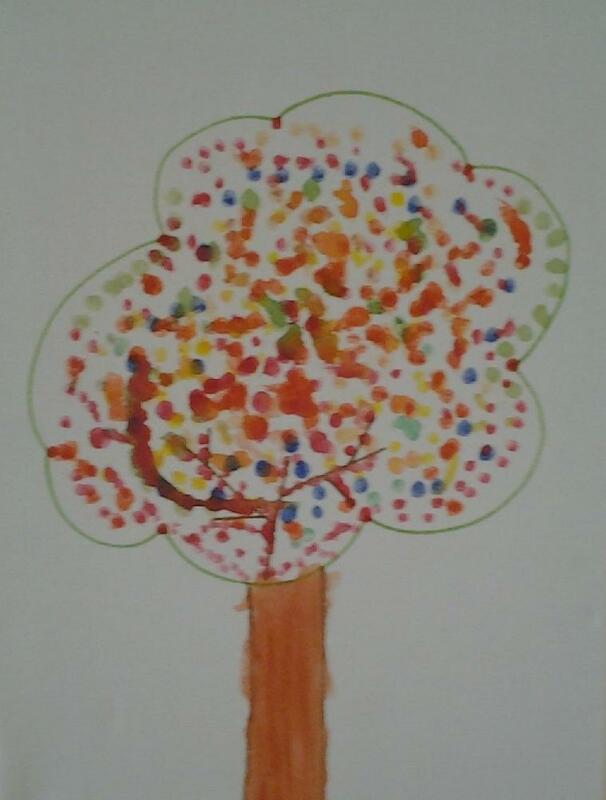 Lovely craftsy trees the girls painted using the ear buds..
Now nice to have a special friend to help you along when you need a push..
Wow, so many followers, well done. 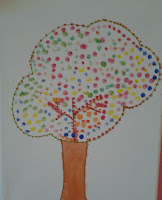 Love the girls' spotty trees - a great art project. Hi Jude, great to see you sitting there keeping Dawn company and giving her an encouraging push. (Hehe) what a great friend you have there, Dawn. Your little munchkins are so clever! One day, "Dawn Hay & Daughters. Co"
Dawn ~ I was super excited to see my name as the winner. Sadly, for family reasons, I did not see that until just now. I have sent you an email explaining what happened. I'm sorry for not getting back to you before now.